A potent, experiential journey celebrating women’s rites of passage and the evolutionary path of the tantric wisdom goddesses. Join Marcela and Monika in prayer, dance, ritual and meditation to awaken the Cosmic Powers of the Universe, also known as the MahaVidyas. 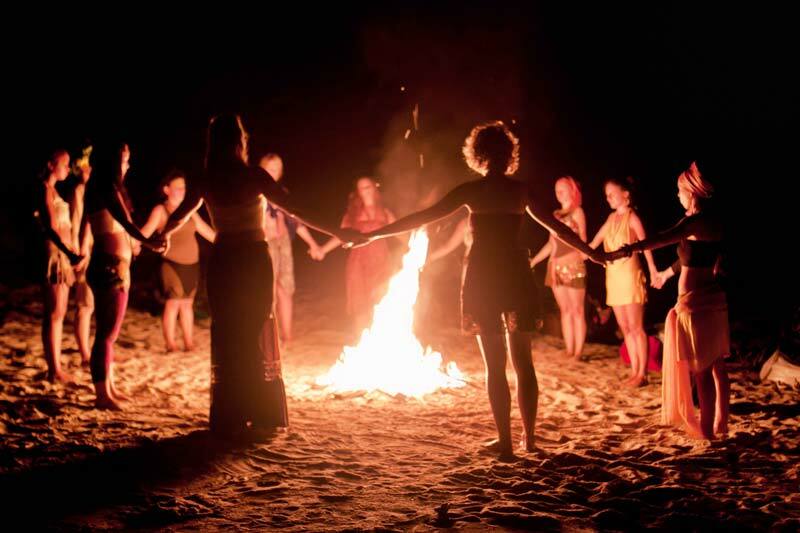 Through shamanic ceremonies and tantric teachings, you leave behind the stories and roles that no longer serve you and discover your true beauty, inner wisdom, alive awareness, fierce wildness, and the feminine mystery that lies at the heart of each of us. This is a transmission of an esoteric yet practical map to guide you through deep transformation and the way of the feminine divine. Los Lobos is an intimate retreat and monastery in the mountains where you take part in a sweat-lodge ceremony, fire rituals, mystical movement meditations, nature explorations, and hikes. You also enjoy organic cuisine and get pampered in the spa with an ample option of treatments – from a facial to osteopathy to energy medicine. Embracing the mystical insight granted through the gates of the 10 Mahavidyas, we leave behind the pain of our mothers and celebrate the community and potential of our goddess sisters. With the help of earth, water, fire, wind, and song, we emerge renewed, awakened! Marcela and Monika bring a combined 40 years of profound sacred practices for women experience to these teachings. This gathering is absolutely unique and groundbreaking as we intricately weave the wisdom traditions of the Himalayas and the Andes. 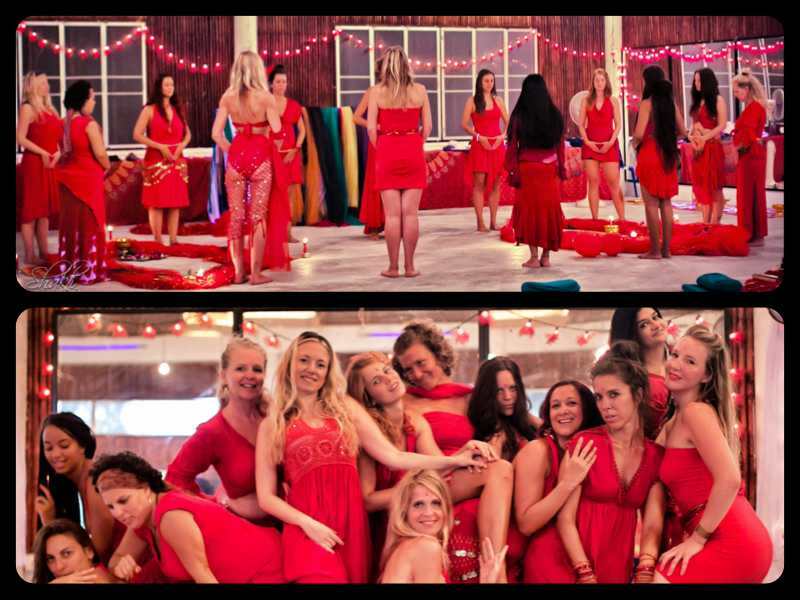 Each of the 10 wisdom goddesses of tantra come alive through embodied exercises, meditation, medicine dance and sacred ritual in a way not shared anywhere else. Potent shamanic ceremonies anchor the teachings. We also dare to tap into the endless transformational well of igniting and harnessing our sexual energy. Following our unique journey, you may continue to the region of lakes, hot springs and volcanoes in Southern Chile; to the dramatic landscapes of Patagonia; to the attractive town of San Pedro in the Atacama desert plateau; or to mystic Easter Island. We can recommend hotels and transport! Group limited to 28 women. Lodging not included, to view room options click here. Optional upgrade: Brain Bar click here for more information. Hold your space directly with the Four Winds Society. Typical Daily Schedule – there will be periodic adjustments to the schedule for our rituals and special activities, and also some modules will potentially be offered as free time for rest and personal integration. Overall, expect the days to be full and highly engaging. 1:00 p.m. – 3:30 p.m. Optional healing sessions, massage, free time, etc. 8:45 p.m. Many evenings there will be a night session which will be announced in advance. September 23: Welcome to Chile! Los Lobos staff will pick you up at the airport by 10 a.m. and take you to our lodge and monastery, nestled in a coastal mountain range. Nutritious lunch in the gardens, followed by rest time (choice of nap, journal, pool, meditation, massage, etc.). Welcome circle at 4 p.m. Meet the sister tribe, and weave intentions and prayers for the journey. 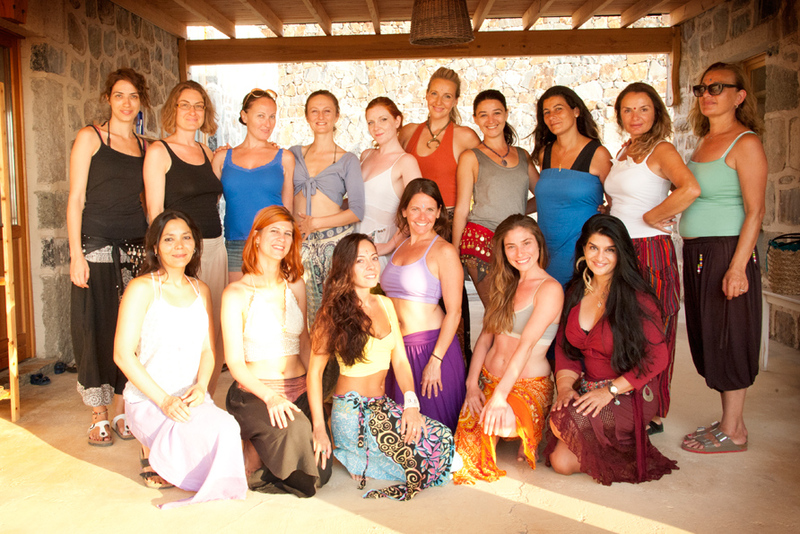 Also explore who are the tantric wisdom goddesses? How do they fit into the story of the feminine, our own evolution and the metaphysical structure of the Universe? Learn how the 10 Mahavidyas are a map for transformation and enlightenment. Dinner at 7 p.m. Early bedtime. September 24: Cosmic Power 1 ~ KALI. Kali is the goddess of time, accelerated transformation, death, creation and destruction, and impermanence. She is the original wild woman and mother of all dark goddesses. We delve into understanding and integrating Kali within ourselves. We also dance with knives in a labyrinth as we shed old layers and face ourselves more clearly in naked truth. Please dress in all black. September 25: Cosmic Power 2 ~ TARA. Tara is the great saviouress, the feminine face of compassion, the guardian of communication and intelligence, and the navigator of the Bodhisattva’s way. Experience Tara in her gentle and wrathful forms and learn how to call upon her when you need her most. Please dress in all white. Also, we honor the potency of the full moon tonight in circle and song. September 26: Cosmic Power 3 ~ TRIPURA SUNDARI. Tripura Sundari, also known as Lalita and Shri Devi, is the eternal maiden, always 16, fresh and free. She is the unmanifested beauty of the three worlds, a gateway to transcendence, bliss, and harmony. Tripura Sundari is the patron goddess of the tantric sexual practices as she shows us how to sublime human desires towards desire for the Divine (pure consciousness). Today we receive the rite of the womb and become initiates of the tantric-taoist jade egg practices. Please dress in all red. September 27: Cosmic Power 4 ~ BHUVANESWARI. Bhuvaneswari is known as the Queen of the Universe, the element of space. She is the mother of all things, the cosmic womb and the keeper of the four directions. Today, we inquire about our relationship with the Mother, creating space for her in our heart, and taking the Earth as our root mother. Please dress in all yellow/gold. September 28: Cosmic Power 5 ~ TRIPURA BHAIRAVI. Tripura Bhairavi is the terror of the three worlds, the great warrior goddess. She inspires great tapasia: practices of sacrifice and austerity. Bhairavi represent spiritual aspiration, transformation of tejas (fire), and transmuting earth to sky. We take a courageous journey into the reign of Bhairavi through a tantric fire ceremony and shamanic sweat lodge. September 29: Cosmic Power 6 ~ CHINNAMASTA. Chinnamasta is the headless one. She represents the freed mind, sacrifice of identity and ego, freedom of consciousness beyond the body, and instantaneous enlightenment. She is symbolized by the vajra, the thunderbolt, the sword. To anchor our communion with Chinnamasta, we hold a sublime chord-cutting ceremony, untethering all things that keep us in darkness, separation and ego-based identity. September 30: Cosmic Power 7 ~ DHUMAVATI. Dhumavati on one level is the grandmother spirit, the crone, the sage, the wise woman. On another level she is the void, the unknown, the feminine principle devoid of masculine principle and all worldly aspects. We explore all aspects of this awakened archetype and what it is to embrace the end of life’s harvest, to celebrate the smoky feminine spirit which has learned to rest in our unborn nature. You will be surprised how much you will fall in love with your inner Dhumavati. October 1: Cosmic Power 8 ~ BAGALAMUKI. Bagalamuki is the goddess who stuns, stops and paralyzes. She is the power of fascination. She is the “reset” button on the path, creating a gap by stopping the mind and speech so that we can restart our actions with awareness. She comes towards the end of the cycle, the map, for a reason! Discover the power of Bagalamuki and how you can make the power of STOP! an ally. October 2: Cosmic Power 9 ~ MATANGI. Matangi is the sacred rebel version of the Hindu goddess Saraswati. Matangi is the devi of spoken, manifested word. 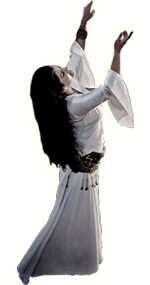 She grants knowledge and is the purveyor of mystical arts, and mistress of music and mantras. She is unconventional. She is an outcast. Reignite your wild artistic side and free expression. We also enjoy making sand mandalas in the garden. October 3: Cosmic Power 10 ~ KAMALATMIKA. Kamalatmika is the tantric form of Lakshmi. She is manifested beauty, goddess of wealth, abundance, prosperity, and love. She is the completion of the cycle and the reintegration of all spiritual qualities into manifestation. We hold a sacred ritual of fulfilling wishes and celebrating splendor. October 4: Breakfast, dance journey of the goddess, and final sharing of how to integrate the 10 Tantric Wisdom Goddesses and keep Her spirit alive in daily life . After lunch, farewell to Los Lobos and continue on to your next destination. Blessings and Smiles for our time together! Jai Ma! Proposed itinerary – subject to change if necessary.